My name is Renee and I sew. A lot. I live in Baltimore City with my husband Jordan, our very small dog Linus, an assortment of knitting machines and more fabric than I can sew in this lifetime. I have always loved clothes but thankfully had parents who refused to spend $75 on a pair of GAP jeans. So, I learned to sew. And, I think ANYBODY with a little patience, can learn to sew! I pretty much taught myself from books, and with the Internet, it has gotta be easier! Through the internet, I’ve made some amazing friends. Many who I’ve gotten to meet in real life. My blog, is an expression of me. The woman you meet here, is the woman I am in real life — except with a potty mouth 🙂 This is where I share my sewing projects and other things on my mind. I appreciate every person who takes an interest in my many ramblings and takes the time to comment. Thank you for reading Miss Celie’s Pants! Very glad I found whither you wandered…your blog is a quiet inspiration to me. Hi! I’m the Community Manager of Ruba.com. We’re building a website to highlight some of the most interesting places travelers around the world have discovered. We’ve read hundreds of blogs about Israel, and we think that yours is awesome! We’d love to highlight excerpts from blogs like yours (assuming it’s OK with you of course) and to discuss other ways of tapping into your expertise if you are interested. I’m at erin@ruba.com. Hi, Ive just stumled accross your page as I viewed a wrap around skirt, I have to say this is beautiful…. If you get this mail can you contact me so that I can discuss this with you via email. I like to make a suggestion about your pictures that you have posted to your blog. They would appear better if they were not so big and when posting photos of people make sure you fix the red eye. On most of the pictures you have to scroll other then that I really like the fabrics that you have chosen. I am inspired by your Blog. Looking forward to following you and your projects! Just found your blog! I’m enjoying it! I have been sewing since I was 15. As of December of this year, that will be thirty years of sewing. I collect vintage sewing patterns and sew a lot. A friend and I started a fashion blog called http://www.fashionproject9.com. We will be doing an ongoing red dress project. We would like to exchange links with you. Please let us know. I ran across your blog via twitter via foursquare. I’m not really a fashionado(?) but, your designs are pretty decent, assuming that’s your stuff in the pics. I wouldn’t mind saving money by making my own stuff. By the way, congrats on your Mini. I’ve been eyeing them since I saw . I am also an avid amateur seamstress and self-taught fashion designer. I live in Trinidad West Indies and will add you to my Fashion Favorites folder. We just found your fun blog through a series of other blogs and love your style and approach! We are working on a sequel to our 2009 One-Yard Wonders with Storey Publishing, and are currently seeking project submissions. We can tell you are super crafty, and thought you would be interested in submitting any original designs you might have up your sleeve to be published in this work – so bring it! I’m writing from Cloth magazine, a new independent magazine based in Bristol, UK, dedicated to sewing, make-do-and-mend, recycling, resourcefulness, fashion and homeware. Harriet and Roz, our creative editors, loved your blog and sent it on to us in the office. It all looks great, though I wasn’t sure where to find an email for you, hence this posting instead. We thought you’d really like Cloth. We launched last summer and have just released Issue 3, and are continuing to try and spread the word far and wide. If you’ve not seen the magazine yet I can pop a copy in the post to you. We’re also online at http://www.clothmagazine.co.uk. We’re in the process of adding a ‘Friends’ page to our website, so when that’s up and running in the next couple of weeks we could add your blog to our list of favourite people. I understand you’ve kindly offered to collect the sewing parcels for Arielle. I have a few things to send, including the zippers I had my name against on her list. Please could you let me know a postal address for these. I’m in Australia so it could take a week or so to arrive. I love your blog which I just discovered while looking for Bunka book. i, to am passionate about fabric, sewing, patterns, knitting, tectiles and doing the least amount of housework possible. Come to Paris and let me know when you are here! How have I missed this blog? It looks fantastic! Can’t wait to dive in!! My name is Sonia D’Elia, I work at Fabricville in the marketing department, and I very much enjoy your blog. Fabricville launched its “I ♥ Fashion” Sewing Contest, and urges beginner and expert sewers alike to show off their talents, and create a garment for a chance to win the Ultimate Style Weekend in Montreal, Quebec, valued at over $4,000, including a shopping spree at Holt Renfrew. I thought your readers and yourself would be interested in knowing about this contest. If you are interested in knowing more, I will gladly send you the official press release and contest logo. Please do not hesitate to contact me directly to receive additional information or if you have any questions. Hi – I was wondering if you could tell me more about the Morse Super Dial. Does it really sew leather? Would it sew multiple layers of denim (as in when you hem jeans and fold the hem, you may end up with 6 layers when you get to the inseam part. I really enjoy your blog. Thank you! Hi — I’m going to be posting about the Burda 4/2008 trench jacket and want to use your (inspirational!) photo and link to your blog when I write the post. Any objections to my posting a photo of you wearing your vest? Please let me know if you’re OK with this. I couldn’t find your email address anywhere on missceliespants, although I thought I remembered that you had it up on the previous version? Anyway, please let me know. You did a great job on that vest; I hope mine turns out half as well. Love your blog! I also have a Kenmore 1040. LOVE IT! It pinch hit for me when my Kenmore 43 was acting wonky (I will never use 30/3 polyester thread again). Can’t wait to read more about your fun life! Thanks very much! I spend too little time in DC and would love to come and see the spot! Welcome back to sewing! Regarding a dressform: I would buy the least expensive one I could find and plan on padding it out to better fit you. Honestly? I wanted one for aeons and I pretty much just use it now to show photos of garments or figure out what they are going to look like on a person. Unless you are draping, I don’t think a dressform is needed. You can also look on line for direction on making a papertape or duct tape dress form. I’ve been a loyal follower for a long time. I just love how you put the “human” in sewing. Your finished projects are amazing yet you tell us about your frustrations, likes, dislikes and what you would change ie “human”. you are lovely! i just stumbled across your blog this morning and have been totally ENTRENCHED in checking out your projects! AWESOME. Wow my mom had a Singer sewing machine similar to that it had a foot peddle. I sewed on it for years. http://www.nancyziemantv.com and view this month’s online video. Sorry. I do not sell or loan pattern magainzes. LUV YOU FORMER INTERN. Are you away on travel now? Celie, I was reading your adventure with the gorgeous blue bra, and the band problem, it rides up. If you haven’t already taken that workshop, I think the fix would be what I learned in the one I took. The instructors called it a “downward hike band”, essentially, on your pattern piece, make a dart in the back band about one inch deep, on the bottom edge, and then cut the fabric. It changes the lower edge from a straight(ish) line to one that bends downward when you look at it, but is straight when worn. It is used to accomodate a very full bustline, and really works! If you want more info, please feel free to contact me. By the way, you have a gorgeous figure! Thank you Jean! I think you may be right. A friend has sent me the information. I have my pattern altered for it now, but haven’t had a chance to try it out. The pattern looked crazy when I cut it out (very downward) so I am hoping you are correct and it straightens out! I see you’re from St. Vincent. My mom is from Grenada and I’ve had the pleasure of visiting there two or three times. Here is Helen’s email address. I’m not sure if she is still in China or what her access to email is. Some email websites are intermittently blocked in China. I know that’s why she hasn’t been able to update her blog. Helen is AWESOME and I hope you are able to connect with her. My trip wouldn ot have been the same without her help. I’ve been following your blog for about a year, and I think you’re so fun and cute! 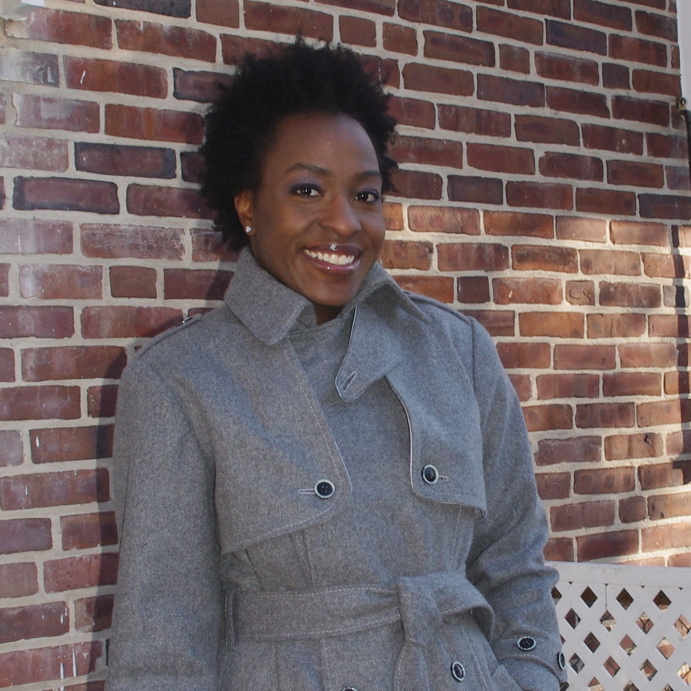 I think your grey trench coat turned out absolutely stunning! I don’t know if you’ve discovered my blog before, but I’m The Funky Seamstress. I love bright colours and sporty styles, and I know we’ll get along just fine. I also have a relationship with bright nail polish, although I don’t wear it nearly often enough as I ought to. Please drop by for a visit! I’m a big fan of yours! dear cidell! i have been following your blog for ages as well as the slapdash sewist, and since i live on capitol hill i think she and i may be neighbors. i am going to amsterdam on wednesday and would love to go to the store that sells the lingerie fabrics and findings. could you let me know where it is.i really enjoyed your reports of your trip to the netherlands in may. i know this is last minute but i have been swamped with unexpected events, and making my own bras did not quite make the priority list! would love to meet you and trena. i ahve found the best source of housing internationally and would love to share it with you. my phone number is 202-546-1719, or 543-4968.
thank you for your blog. as it is both educational and entertaining. Miss Celie, you are adorable! I just happened upon your site this morning and just smile as I read some of your postings. I like your motto, “I sew, I cook, I travel but I do not clean”, too funny. Thanks for sharing some of your joy with us meddling folks. ps. I too fell in love with sewing at a very young age and am trying to get back into it. my mom is looking for Burda magazine 10/2009 and I saw that you made something from that mag. Any chance you’d be willing to sell your copy or share so that she could make #109? I’m sorry. I no longer loan out magazines or books. I would set up a search on eBay or try posting a PatternReview.com classified. Haven’t commented in a while so just let me say once again that I think your work and dedication to your sewing and blog is fabulous. Keep up the good work. You’ve inspired me to make two coats this year. Thank you Lillie! I appreciate hearing so. I’m helping connect with some local Baltimore bloggers to offer the opportunity to blog for furniture! Su Casa wants bloggers to test a piece of furniture of your choosing, blog about it, and have the chance to win it for free! It’s a really neat promotion I’m excited about – and would love to have you participate in. Love your blog. I stumbled upon it while trying to find a fabric you blogged about. Can’t get it out of my head. You wrote that you bought it at Joann’s is there any tag that indicates the maker. here is the link to your picture. You were kind enough to reply when I emailed some weeks ago about the afro puff fabric. I have looked everywhere and can’t find it! I was wondering if you would consider sending me a small amount? I want to make a scarf for my daughter who never sees images of girls with hair like hers. I’m sorry. I don’t have anymore. Just discovered your blog, and I love it to death. The name definitely grabbed me. You have no idea how many times my friend and I have talked about making a good pair of folkspants since I started sewing. Take care and keep up the great work. You rock! I am proud to be a Baltimorean with you!! AWESOME ITEMS!!!! I’m currently living in Tel Aviv, Israel, and was wondering if you have ever been here, and if so, do you know where to buy patterns?? I’m having a really hard time locating them (fabric, is NO PROBLEM!!!! LOL!!! Gorgeous stuff here!!!). Thanks for any help on this matter. I’m at my wits end!!!! Great blog!!! Seriously, the nail polish collection…awesome! I recently came across your blog and it is now one of my favourites — love your writing style, your creations and your food posts. I am a lapsed sewer who has recently started sewing again just for me, so your blog is very inspiring.I will be dropping by often! I loved your blog and the things you made and were you like to travel to. I am from Europe. If you by any change travel this way again, just let me know. Love your pieces and was wondering if you provide samples of your work? What is the best way to hey in contact with you? Hi! i just read on Oona’s blog you had a burda magazine from 2008, I am making my wedding dress from a pattern in Burda March 2008, but is in German, and I was hoping to find the instructions in English. Do you have this issue? If you would be able to scan the instruction page that would be amazing. If not no worries! Just thought I’d ask. It is the Duchess of Windsor Dress 116. All the best to you, I am enjoying your blog! I’m really enjoying your blog. Just getting back into sewing after many years. I love your new cape – nice job! I have a couple of questions for you if you have a minute. Your blue bubble skirt – what is the pattern. I’m looking for a cute bubble skirt that I can make in a jersey. I’m also wondering what pattern you used for the knit geometric print dress you are wearing in the photo in your about section. It is so cute. Hi, Cidell. I wanted to leave a little note to say I have been enjoying your blog for a while now and am quite impressed with the stylish and well-crafted garments you put out so regularly! I also wanted to see if you have any recommendations for fabric/notion shopping in the DC area? I will be in DC this Saturday through Tuesday for a conference for work and I would love to get a little “personal time” in while I am there. I will intentionally be leaving empty space in my suitcase! Hallo! I live in Namibia and teach bra-making. I also make bra`s for a living and for a hobby. (I do have some other hobbies as well) How can I find the English instructions for the Sewy Rebecca bra? Where can I find a list of the English/German bra sizes? let you know when we were having another sale! It will be August 12- 16th from 8am- 2:30 PM. Fabric, Lace, Zippers, Elastic, Samples, etc. Nylon/Lycras, Polartec Fleeces,etc. $0.25 Zippers, $1 Fabrics, All very discounted. Please come back if you are interested- We’d love to have people from the surrounding areas. Hi, Renee I Love your blog, I am always inspired when I view your blog. So Happy for you and your new hubby…I have purchased some patterns that you used from Burda online and have some questions about Burda patterns…. Hi Cidell! I love your blog and the fact that you sew your own clothes. You’ve created some beautiful pieces. Based on some of the items I’ve seen you wear in your posts, I think you’d score some nice items at the pop up resale boutique my mother and I are hosting this Sunday in Baltimore at The Living Well, an arts studio. We’ll have a variety of sizes (4 to 20 in clothes and 6 to 12 in shoes) and name brands, including boutique, designer and department labels, for sale at 70% off the retail price and lower. My mother (a shopaholic but classy lady) retired recently and our goal is to purge. For that reason, a lot her items, and the gently-used items of a lot of other ladies who want to purge, will be extremely discounted. I’m sure you can find some items that you could repurpose or wear as is! We’ll have everything from bags, blouses and sweaters to skirts, scarves, and shoes. There will be jewelry too! It would be great to see you there. Bring a friend or two! Details can be found in the link and attachment. I love that I found the site of a blogger from Balitmore! I am in Elkridge and am always on the lookout for locals that love to sew. Your blog looks awesome and I am so jealous of your sewing room. Perusing your site (https://missceliespants.com/2011/04/15/of-course-theres-room-for-one-more/) I believe I purchased my treadle from the woman you speak of in this post. As a matter of fact I THINK the machine on your page is mine! I purchased a Sears Minnesota from a Florida woman and have been seeking to identify the model ever since. Phew, it has been a chore that has gone on for over a year. I am enjoying your site. You’re sew talented. Thank you for being a force on the WWW. I have so enjoyed your blog, and although I am not a regular reader nor a subscriber, I just wanted to “throw you a line” to let you know how “hooked” I am on you! (sorry [sort of!] ’bout the puns.) You are a beautiful woman who writes beautifully, sews beautifully and shares of herself beautifully! It does give me hope to see that there are times when you pause on your “real sewing” – I find that I feel I am waking from a sew-less dream only to be called by the siren of “fabric and the possibilities.” There must be a 12-step group somewhere for fabric hoarders; but, if there is, I don’t want know about it! Denial is not just a river in Egypt anymore! Please accept my gratitude for being a blessing in my life! I’ve just found you and I’m fascinated. I’d like to sew a coat for my husband and I saw your version of man parka. I love making jackets as you. I’ll follow your blog. Love your blog! Also love Liege waffles and I too left my wedding cake in the hotel fridge! Thanks for the supplex tips–I’ll check out those shops. I started following you awhile ago but wanted to say that I really like your blog. I’ll be sure to check it out more often. I’m a man…born in Baltimore; now living on a farm in VERY rural South Dakota. I went to school on Montserrat. I have recently retired and just prior to that I went shopping at a second hand store for an end table. I found one I liked and the guy in the store loaded it into my P/U truck. When I got it home, I realized it was really a cabinet sewing machine (Morse 4100 MJ.) I had some difficulty with it at first but after cleaning it and setting the timing (not that difficult once it was clean). I am now wanting to use it. I have only one presser foot and it will NOT allow zig-zag. I am writing because I “heard tell” YOU have a Morse…so any “education” on that topic will be most appreciated. Now for a gal who “lives alone” in Baltimore, you sure do make a lot of nice MEN’s Clothing…I don’t suppose making bow ties is worth discussing? I wear them…every day at work, but now since “every day is Saturday” I don’t have to wear them quite as often. Hey fellow sewing enthusiast, did you ever hear more about the English translation for the Sewy Isabell? I’ve had a couple of people asking me about them. Thanks! Actually, I have it (and the Leonie)! It got it last month. But, I’ve been waiting to add the photos / diagrams back in. Hopefully posted by the end of the month. Oh, I can’t wait to see your new bra(s)!!! i was looking at the wonderful baseball sweater you made for jordan (wanna make me one?) and i think the shoulder style in the original is called a saddle shoulder. it’s different from a raglan in that it starts out under the arm in the usual rounded way and then takes off in a straight-ish line about halfway up to where the the shoulder seam would be (if there were one) and following the direction of the non-existent shoulder seam to the neckline. that was a mouthful! the raglan is a straight line from the underarm right to the neckline (sometimes there’s a tiny curve at the very bottom end). So I just spent the last 8 hours (last night and this morning) shunning laundry and my family, and reading back a years worth of your posts. I love your style, and what you do, and the fact that you are curvy and figuring out how to make things work! I am a 32FF (or 30G when I remember to cut back on sugar) and know the struggle of fitting RTW, as well as any patterns. I am trying to get more into sewing for myself, but am very overshadowed by my mother who has been sewing herself since the age of 10. She tends to ask to “help,” and then takes over. Though sometimes it is easier to just let her do my FBA. 🙂 Maybe once I get working on my own projects, I will bravely put them out there on the interwebs for all to see. I can’t wait to see what you have going on next. I was quite interested in your post about Kantje Boord. I am in USA. I am trying to finalize a purchase of “pakkets” from them, but I do not understand how to pay the shop. I called, the woman told me they cannot accept credit cards, merely gave me a 4 digit number for her bank and said I send the money from my bank. I do not understand. She seemed to be implying that I use a bank card, but I have no idea how to process the transaction. Can you help me understand? Nice sewing work on your postings–you are very productive! I just wanted to say thank you so much for sharing all your wonderful photos and projects. Last year I put together a corset making video course for beginners and wondered if you’d like a free copy? I’m on a mission to share corsetry with the world and I thought it might be something that would intrigue! I also wondered what you thought of doing some collaborating? I’d love to offer a discount to your readers if you think my course is something they’d be interested in and something you’d be interested in sharing with them. Hi Renee. I work for Sulky.com and I would love to talk to you about our Affiliate Program. If you are interested please send me your email address to fred.drexler@sulky.com. Hi Celie! I’ve been a long time follower of your blog, and I also live in the Baltimore area (Cockeysville). I am about to move and am getting rid of hundreds of patterns and bags upon bags of fabric. I’ve been collecting these patterns and fabric for years and am reluctant to just give them to the Goodwill, where they may be thrown away. I was wondering if you knew of any person or organization in the Baltimore area who would like my ridiculous collection of patterns and fabric? There was no e-mail form on your blog, so I thought I’d just leave a message… Let me know! I hope you’re moving for a good reason! There’s a place in DC that accepts fabric donations that my friends have told me about. If you’re moving, I could take them off your hands and get it to them. I know that feeling! I found your blog while looking for a pattern for the pants Miss Celie makes. All the Google hits were on the symbolism of the pants in the book, but no patterns. Do you by any chance have such a pattern and could you share it with me? My friend’s son is making pants for sale at craft fairs and concerts. He currently makes hippie and ninja pants and I thought Miss Celie’s pants would make a great addition to his collection. Ellen Schreder and I make upcycled wool sweater mittens and coffee bean bag totes to sell. 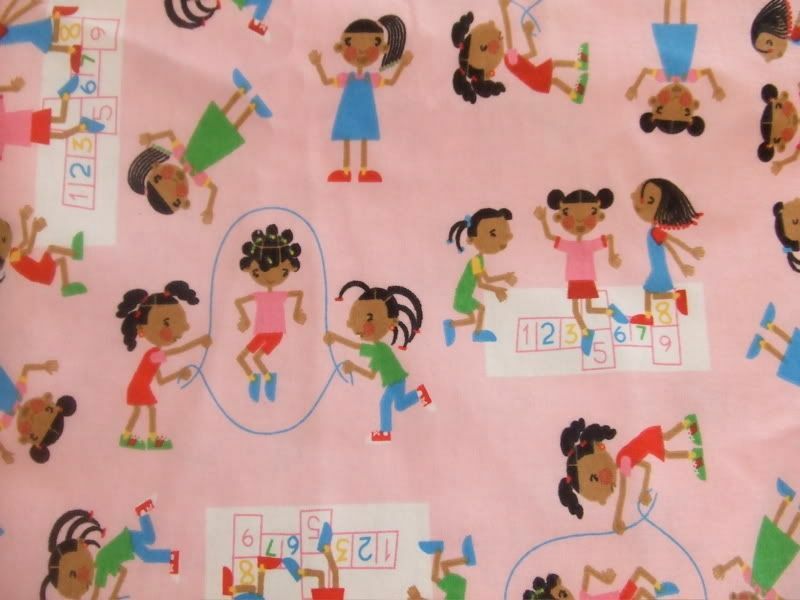 The profits support a sewing project in Haiti sponsored by Helping Haiti Work and Days 4 Girls. I enjoyed reading your blog while searching for a pattern. I’m sorry, I don’t have a pattern for the pants referred to in the musical. I’m not sure one exists to be honest. Best of luck to your friends son and your program. Renee, I don’t know what you’re talking about … your blog is awesome and your skills are on point! Particularly your Corvid coat in winter white – love it! Glad to have found you! I’m working on sewing myself and I appreciate all your notes. Are you on ravelry? Well, you might be getting 2 replies .. I was writing 1 and it vanished, so I’ll post again. 60″ wide 84% Polyester 16% Lycra Superior Hi-wicking comfort with 4 way stretch for active wear. Generates body moisture away from the skin, keeping you cooler. For whatever reason, I am not able to comment on the recent post about you starting to sew a coat and I just want to say thank you and I shall be looking forward to your progress. I also have about 90 yards of various coat fabrics — cotton for anoraks, wool for winter, several waterproof or resistant rain fabrics — and I need a kick in the pants to start using them. Your progress will be an inspiration. Thanks in advance! Anytime! Let’s inspire each other. It’s crazy. But, I’m already thinking about my next coat project and I’m barely halfway through this one! I just really love coats and can never get motivated to *start* them. Hi, Renee- Your posts everywhere are always a joy, but your duvet post was an unexpected surprise. We slept on split featherbeds with separate duvets in Budapest several years ago. Loved them, but couldn’t figure out how to use them at home in the USA. (Like you, could just find tourist photos online.) Your instagram post and comments are so helpful! We also have the two different warmth levels issue, but now maybe can work out a better solution. What fun!